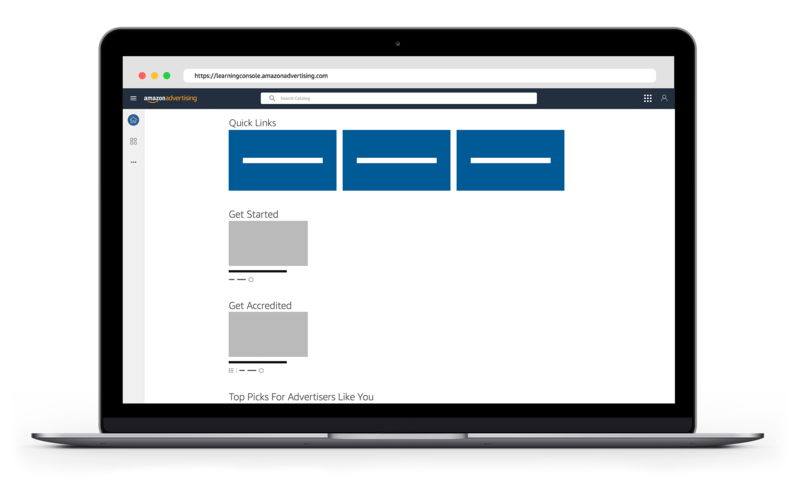 Register for a learning console account using the email and password you use to manage your Amazon Advertising campaigns, or create an Amazon account here. It is fast, easy, and free. How much does the learning console cost? The learning console is free. You can become accredited by taking and passing one of our accreditation assessments, such as Search Advertising. In what format are the courses? Within the learning console you can watch videos, take individual interactive courses, or take a series of courses through a learning path. Can I access the learning console on my mobile device? Yes, you can access the learning console from any device directly at learningconsole.amazonadvertising.com.